-Add whatever else will help you feel relaxed and centers such as relaxing music, incense, and lighting candles. Our energy tends to change and evolve as we move through life and letting go of unwanted energy is a vital process for the energy to grow and transform. Things that have been difficult, heavy, or hard to overcome, such as past incidents, relationship issues, heavy emotions and thoughts, investment a great deal of energy that does not support our personal evolution. Fire is a powerful symbol that consumes indiscriminately with remarkable evidence of total elimination. 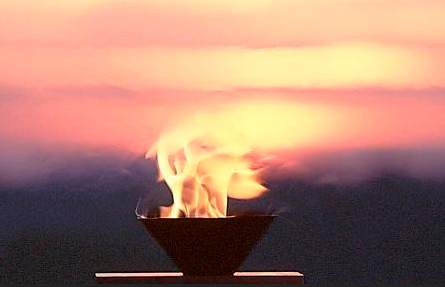 When you're deciding to surrender your inner struggles to the fire do it safely. 1- Make a list of all the things you wish to release. People, past situations, and unwanted feelings that no longer serve you a purpose. 2- In a separate piece of paper make another list of things you aspire to accomplish or to be more. 3- In a nonflammable blow light up some fire. 4- Light up sage or palo santo and send blessings to what you are about to do by breathing deep, pouring the smoke around yourself, then open your eyes and pour the smoke of the sage around the papers and bowls. 5- In your mind or out loud invoke gratitude to the universe or source of light for giving you this moment of releasing unwanted energy. 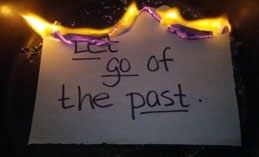 6- Burn the piece of paper with the list of things you wish to let go. 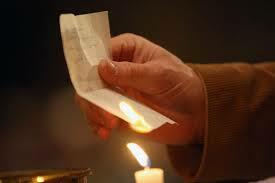 As you watch it burn visualize the items of your list being released from your life. Repeat this statement: "I, (name), release myself from the past, person, and/or emotion that no longer serve me, for the highest good of All concerned"
7-Reflect on how your life would look like without those burdens. 8- Now grab in your hands the list of things you aspire to accomplish or to be more. Visualize those thoughts manifesting in your life. Keep this peace of paper close to you at all times and view it whenever you want to. 1-Give thanks to the Universe for this moment. 2-Give thanks to yourself for taking the time on improving your energies and work on your balance. 3- Turn off the fire with the glass of water and turn off the candles (if any). Keep in mind that putting the intention is always the first step in moving forward, the rest comes with time, and many times it occurs when the universe feels it’s the right time for you. If you want to let go of something but struggle doing so, reflecting on what was the lesson behind the situation can help you find some peace. Take time after the ceremony to reflect on how you feel afterward. Repeat this ceremony as many times as needed. It is highly encouraged to do this ceremony every full moon to keep the practice of decluttering your body, mind, and spirit to prepare for each moon cycle.